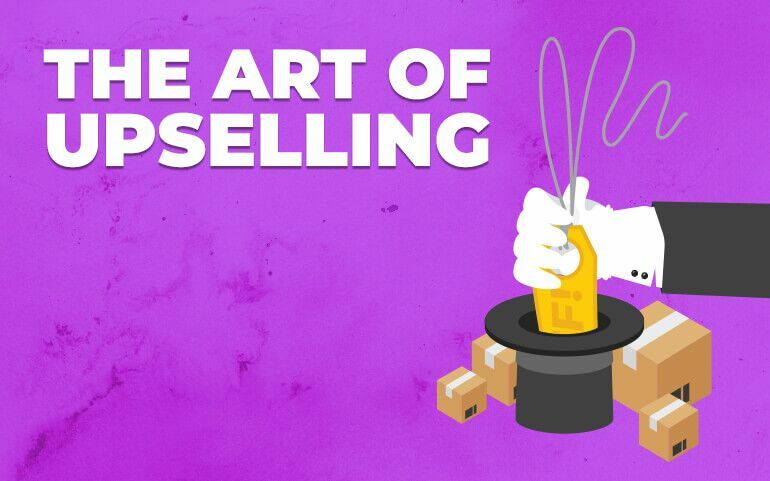 Few sales techniques are as universal and effective as the upsell. Long a staple of the salesperson’s toolkit, upselling is the process of increasing the value of a conversion through the sale of related products and premium options. Upsells exist because customers will often opt for the cheapest version of whatever they’re buying unless they see a direct benefit to paying more. It is a salesperson’s job to make the customer aware of options beyond what they may have initially intended to purchase, as this increases the value of the sale. Often, all that is required for a successful upsell is to present customers with the option. Since e-commerce sites use an interface rather than a salesperson, upselling is generally done in the form of product recommendations. In today’s blog, we’ll be discussing how to optimize product recommendations to better ensure an effective upsell. Perhaps the most important factor when offering a product recommendation is relevance to the product being purchased or considered. Some sites recommend products by simply promoting their most popular items. Some do the opposite, and promote low-selling items in an effort to clear their stock of unwanted products. While both of these tactics theoretically make sense, they’re often largely ineffective. For instance, consider a superstore that sells a huge variety of products; many physical stores upsell by grouping items together in aisles. If this store were to follow the “popular items” example, one of their aisles could very easily be “breakfast cereal and auto parts” because both happen to be popular items. Grouping these would almost certainly seem off-putting in a brick and mortar store; it’s off-putting online as well. It would make far more sense to group together breakfast cereal and milk, as those products are generally consumed together. When considering what items to group together in product recommendations, make a point to group items together that have direct or semi-direct ties to one another. If the item is electronic, it makes sense to recommend backup chargers, accessories, or batteries. If it’s furniture, consider recommending accent pieces that are frequently purchased as a complement. For more expensive items, a common and effective upsell is to offer an extended warranty. Many of these products can be bought elsewhere. However, by offering them while a user is already making a purchase, you can quickly increase your order value while saving the customer time. Whether a customer has bought from you in the past or not, the data you collect from them can very likely shed some light on their purchasing habits. For instance, if the customer has been consistently looking at up-to-date tech equipment, like a newly released phone or computer, they’re likely looking for quality over value. Thus, it would likely make more sense to recommend other newer or higher end products rather than low-cost alternatives. The opposite can often be true as well. If a customer is looking at mostly lower end or older models, trying to upsell them on a brand new phone may be far less fruitful than upselling them on a warranty or accessories for the older model. You can also use this data to display more enticing results to “bargain hunters” who spend the majority of their time in the sale section. For instance, if customer X has been browsing shoes marked at a 50% discount, showing them other discounted items will likely be more effective than trying to upsell them on a full price pair. Product recommendation engines are a fairly recent development in ecommerce, but have been catching on quickly. In essence, they utilize an algorithm which examines the user’s purchases, browsing, and click history. It then uses the findings to predict which products would be of the most interest to the customer, often leading to successful upsells. Many programs also allow stores to set individualized parameters, such as prioritizing transitioning season merchandise, restricting recommendations to only full-price products, and even preventing low-stock items from being shown. Research has shown that sites using such technology consistently have higher order values and greater conversion rates. While this technology does require an initial investment, it often pays for itself quickly. Upselling via product recommendations is a fantastic way to increase your average order value. However, like any tool, it must be used intelligently. By leveraging a combination of common sense, clever pairings, and technology, customer satisfaction can rise along with your AOV.